The Anzac Memorial was built to commemorate the courage, endurance and sacrifice of Australians from New South Wales during the Great War (1914–18). 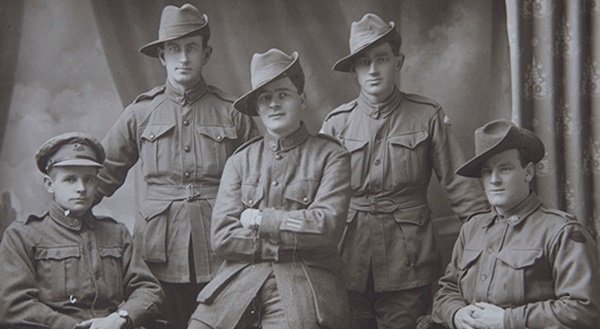 As the war was fought far from Australia and all but one of those who died in the war were buried far from home, with no opportunity for repatriation of the remains, communities around Australia demanded memorials as an appropriate focus for their grief and remembrance. Few would ever be able to visit the battlefields and cemeteries in which their loved ones lay. The number of servicemen and women who were injured or killed in the conflict was deeply felt throughout Australia and each state sought to create its own Memorial. In New South Wales the veterans and their supporters built the Anzac Memorial in Hyde Park. The demand for these memorials grew out of the casualties from the Gallipoli campaign and gained impetus as the First World War dragged on and the lists of dead and wounded soared. There was a recognised need for a lasting memorial in Sydney – a focal point for individual grief and communal remembrance as the community tried to come to terms with the loss of a generation. The war had found its way into every home in Australia. By the 1920s communities in suburbs, small and large towns around the state had created local memorials and the demand for a principal state memorial could not be ignored. There was much debate about both the form the memorial should take and its location. Eventually these questions were answered by competition and work began on the Anzac Memorial .